Easily maneuver the Cabrini TV Stand 2.2 into place, with the convenient wheels for hassle-free arrangement. Mount your TV directly on the wall, or pair Cabrini TV Stand with the Cabrini TV Panel for a more finished look. 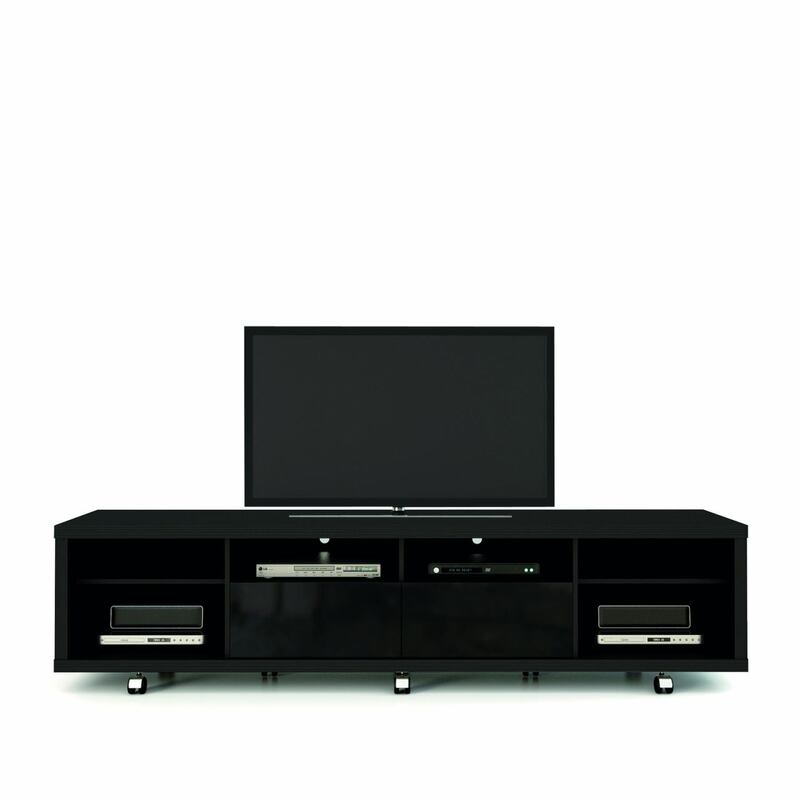 The TV stand is built with 6 roomy cubbyholes and 2 sliding drawers to manage your clutter. Choose between a high-gloss finish in black or white, or a pro-touch matte finish in natural wood hues. Our unique finishes allow easy cleaning, so your TV stand always looks shiny and new.